Only the best genetic material is used to propagate the young olive trees. Young trees are grown with a single stem in the nursery to make them more suitable for single leader training as well as open vase systems. 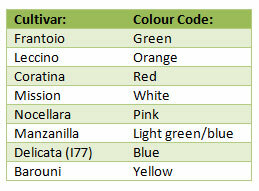 The most important new cultivars and clones for quality oil production, as well as table olive processing, are available. Israeli bred cultivar planted for oil production, also suited for green and black table olives. Fruit are medium sized, not unlike Kalamata in appearance. Barnea oil extracts easily, (20 -24%) with a smooth mild taste rather than pungent and bitter making it an excellent blending oil. Trees are vigorous with upright habit, coming into production very early with very high and constant yield under irrigation. Under optimal conditions it has the genetic ability to produce 32kg/tree (18ton/ha) Barnea is considered as a good pollinator, in combination with Coratina, Koroneiki, Leccino, Picual and Arbequina. Harvesting period is early to intermediate. Some sensitivity to salinity and Verticillium is experienced. The main Greek oil variety. Seen as of medium to low vigor, Koroneiki comes early into production with high and constant productivity and not as subject to alternate bearing. The fruit are small (2g) yielding 20 – 22%oil containing high percentage of oleic acid, highly stable in quality. Koroneiki flowers early, produces abundant pollen, but needs pollinators. Frantoio, Barnea, Coratina, Arnequina and Picual is proven pollinators. Fruit ripens early to middle of the season. The cultivar is drought resistant, not cold tolerant, resistant to peacock spot, moderately Verticillium resistant. Spanish oil cultivar, of medium vigour with a dense and spreading canopy. Produces commercial crops early and bears heavy and constant. During the first years the fruit tend to be larger than normal and are highly rated for picking as black olives for the firmness of their flesh. The oil is of medium quality (18 – 22% oil) but with extraordinary stable quality, often blended with other oils which has low stability. Picual has the ability to produce up to 28kg per tree. Fruit ripen mid to late season. Picual is highly rates as a general pollinator, self pollinating successfully. Very hardy and adaptable to different soil and climate conditions. Tolerant to cold and salinity in Australia. Sensitive to peacock spot and Verticillium. Suitable to mechanical harvesting due to low fruit attachment. 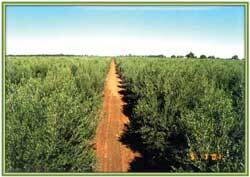 A major oil variety from Spain and also extensively planted in Argentinia. Small fruit yield high oil percentages (18-22%) highly rated for its superb organoleptic character. Not as stable due to the reduced level of oleic acid and less polyphenol content. Arbequina trees are hardy to cold and tolerant of salinity. Low vigour makes high density planting an option. The initial high yields in the early years stay constant with a low inclination to alternate bearing. 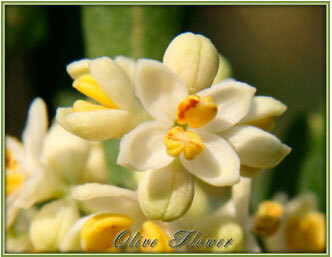 The variety is considered as self fertile and acts as a pollinator for Barnea, Coratina, Koroneiki, Leccino and Picual. The smallish fruit ripens uneven and matures early to mid season. Askal was bred in Israel for oil production under irrigation. A semi vigorous type with medium to large leaves, suited to either to conventional orchards or dense hedge-row groves designed for over head harvesters. Fruit medium are sized, with an oil percentage of 19 – 24%. The oil has good stability, high oleic acid content and good polyphenol level. Flowering and harvesting in mid season. Under optimal conditions an early bearer and the yield in can be as high as 18ton/ha. A self-fertile cultivar that acts as a good pollinator. Askal is regarded as field resistant to peacock spot/ Verticillium. The oil cultivar Maalot, bred in Israel, is a medium vigourous tree. Oil content of 18 – 22% of sweet, floral taste. The cultivar is resistant to peacock spot. Italian oil cultivar with oil content of 18-20%. A semi-pendulous tree producing a very sharp flavourful, stable sought after oil. Medium sized fruit, highly productive and intermediate start bearing (year 8). Frantoio is self-fertile and an excellent pollinator to other cultivars. Widely adaptable and fairly resistant to verticillium. Useful to the home gardener when planted with Mission. The fruit may be used as table olives. Italian oil cultivar with oil content of 19-24%. The oil has a strong peppery flavour with high polyphenol levels. This variety is characterized by early production and high yields and by its very good adaptability to different soils and climates. It is an excellent choice for hot climates, but dislikes water logging. Requires pollinators such as Barnea, Frantoio and Arbequina. A Sicilian cultivar planted for green table olives and oil. The oil content is 16 – 20%. A medium vigourous variety with pendulous growth habit. Adaptable to cold, fairly tolerant of drought and saline soils. Cross pollinating wqith Coratina, Frantoio, Arbequina and Barnea. A green table cultivar from Spain. Oil content on 10%. 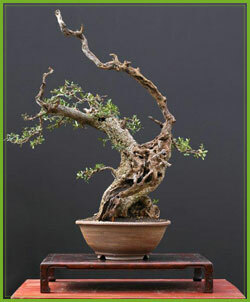 The tree is a vigorous grower with a rising growth habit, high yielding. These fruits are appreciated for its recognizable shape, the ease of removing the pit and for the excellent quality of the flesh. Compatible olive tree pollinators include Frantoio and Mission. Italian oil cultivar with oil content of 18 – 20%. A more delicate oil without bitterness. Although vigourous and adaptable to low temperatures and peacock spot, lower yield must be expected especially in hotter regions. Early compact harvest period. Low pollen quality and needs ample cross pollination from Barnea, Arbequina, Frantoio and Coratina. An American cultivar used for both oil and green and black table olives. The oil content is lower (12 -16%) and processes slower than newer cultivars. The tree grows vigorously and upright. Bears early, but of low genetic potential and inconsistent in yield. Due to low pollen quality, ample pollinators are required, normally Frantoio. Sensitive to wet soils and verticillium.